Emergency! greatly affected my life. It gave me my livelihood. Some of my favorite Emergency! links. An absolutely FANTASTIC Emergency! site. If you can't find it here, it doesn't exist. 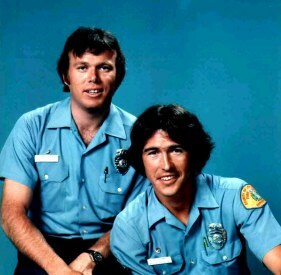 Johnny and Roy were childhood heroes to many of us.This show introduced America to the word Paramedic. Centered around the fictitious Station 51 and the ED staff at Rampart General. Originally John Gage was a rescue man who was roped into the paramedic program after he rescues a corpse. Roy DeSoto takes charge as he has already completed the program. 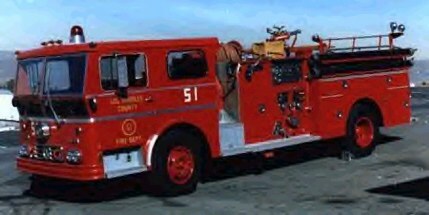 Soon they transfer to 51 to become partners in one of the first squads to hit the road in California. Everyone at Rampart General played an integral part of the show.Dr Kelley Brackett who was initially opposed to the paramedic program eventually became one of its biggest supporters. Nurse Dixie brought her fondness for field medics from Korea to the forefront when she would try to convince Dr. Brackett to green light the program. Dr. Joe Early was fairly supportive of the medics at the beginning. Catch Emergency! on Nick's TV Land.